Epigenetics is the next big field that the media, fearmongers, and political hacks will attempt to exploit. How do we know? Because there is a flurry of research in the field (which is not always a good sign), and journalists are already hacking away. You can find articles blaming epigenetics for obesity, cancer, personality, homosexuality, and (absurdly) how we vote. Never mind the fact that there is serious reason to believe epigenetic changes are temporary and may not be passed down to multiple generations, particularly among mammals. To be sure, epigenetic changes are probably linked (albeit very slightly) to some of those things. But, epigenetics will turn out to be just like regular genetics: Any one allele or epigenetic variation will only make a person ever so slightly more/less inclined toward a particular health outcome. That is because out of thousands or even millions of such potential variables, the impact of any one of them is usually marginal. In other words, epigenetics is incredibly complicated. It is a field that is quite literally in its infancy, and there is still much to be learned. If the human genome is the black box of an aircraft, the epigenome is the black box of a UFO. Therefore, be wary of over-simplifications and general pronouncements. They will almost certainly be incorrect. ‘Mother’s diet during pregnancy alters baby’s DNA’ (BBC), ‘Grandma’s Experiences Leave a Mark on Your Genes’ (Discover), and ‘Pregnant 9/11 survivors transmitted trauma to their chil- dren’ (The Guardian). Factors such as the paternal contribution, family life and social environment receive less attention. They have a point. And they used a particularly persuasive example to illustrate it. Everybody knows that pregnant women shouldn’t drink. But everybody is wrong. Though it is completely taboo for a pregnant woman to be seen sipping a glass of wine, research has shown that moderate amounts of alcohol probably do not harm the developing fetus. Yet, the concern surrounding “fetal alcohol syndrome” — a serious condition that can arise when an expecting mother drinks excessively — resulted in mass government regulation, in some cases even making it illegal for pregnant women to drink at all. The authors worry, perhaps rightly so, that the media hype surrounding epigenetics will once again turn its focus on mothers. Will the government once again regulate what pregnant women can eat, drink, and do? And if so, why not regulate the behavior of men, as well? 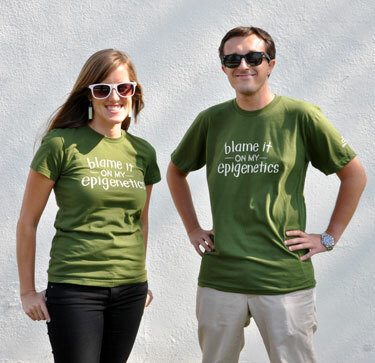 Epigenetics, after all, can affect sperm quality. First, avoid extrapolating from animal studies to humans without qualification. The short lifespans and large litter sizes favoured for lab studies often make animal models poor proxies for human reproduction. Second, emphasize the role of both paternal and maternal effects. This can counterbalance the tendency to pin poor outcomes on maternal behaviour. Third, convey complexity. Intrauterine exposures can raise or lower disease risk, but so too can a plethora of other intertwined genetic, lifestyle, socioeconomic and environmental factors that are poorly understood. Fourth, recognize the role of society. Many of the intrauterine stressors that DOHaD [developmental origins of health and disease] identifies as having adverse intergenerational effects correlate with social gradients of class, race and gender. This points to the need for societal changes rather than individual solutions. This is eminently reasonable. Media and politicians, the ball is in your court.